The mechanisms which cause earthquake cycles to begin up to 40km below the earth’s surface in the interior of the continents are to be explored in a new research project led by the University of Plymouth. Such earthquakes account for around 30 per cent of intracontinental seismic activity, but very little is presently known about what causes them and the geological effects they leave behind. Now academics from the School of Geography, Earth and Environmental Sciences have been awarded £451,340 by the Natural Environment Research Council to develop greater understanding about the short and long term behaviour of the lower crust. In doing so, they hope to increase knowledge of the geological processes, but also to make at-risk communities more aware of the dangers posed by such activity. Dr Luca Menegon, Lecturer in Structural Geology and Tectonics, is principal investigator of the research with Professor of Geoscience Communication Iain Stewart among the co-investigators. 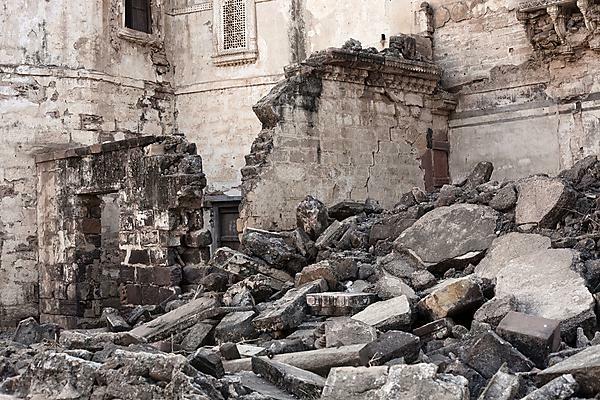 A significant proportion of seismicity in the Himalaya as well as aftershocks associated with the 2001 Bhuj earthquake in India, which killed around 20,000 people, nucleate in the lower crust. For this research project – which also involves academics from the University of Leeds, University of Milan-Bicocca, the University of Cardiff, the University of Edinburgh, and the University of Liverpool – scientists will conduct an integrated, multi-disciplinary study of a network of brittle-viscous shear zones on the Lofoten Islands in northern Norway. It is home to one of the few well-exposed large sections of exhumed continental lower crust in the world, exposed during the opening of the North Atlantic Ocean. The study will link structural geology, petrology, geochemistry and experimental rock deformation, providing a novel, clear picture of the mechanical behaviour of the continental lower crust during the earthquake cycle. It is anticipated it will culminate in the production of a series of educational material for schools and the general public, but also suitable for global decision makers in areas potentially affected by such hazards.